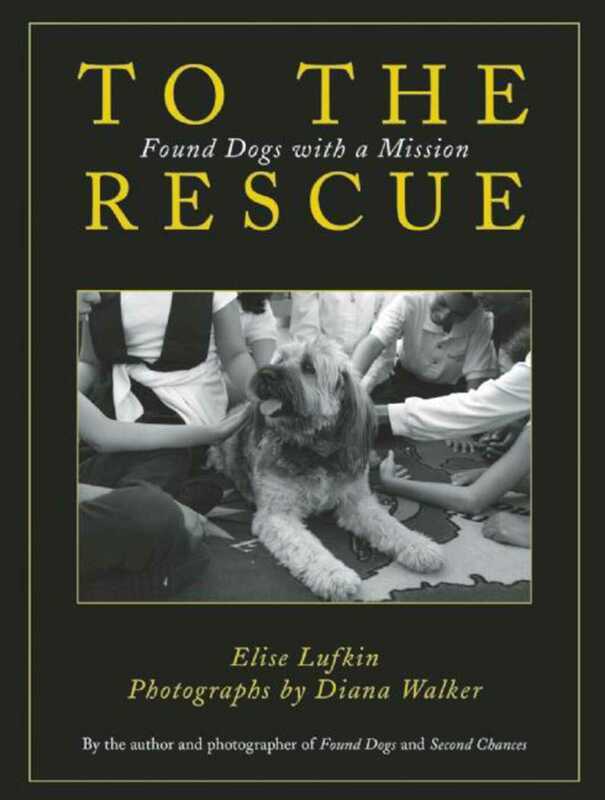 Animal-adoption advocate Elise Lufkin and Time photographer Diana Walker celebrate the bond between once-abandoned dogs and their adoptive humans in their first two heart-warming, collaborative books. Their third collection, To the Rescue, takes those happing endings one step further. This book celebrates those remarkable found” dogs (and one cat) who were rescued, sometimes literally from death row, who have gone on to become not simply contented pets, but therapy, service, and even highly trained search-and-rescue animals. In these dogs, their human adopters found a spark of something exceptional: a wellspring of unconditional love, a drive to channel into a unique skill, or a disability that could inspire. Indeed, some of the dogs profiled are missing limbs, or are the survivors of severe abuse or neglect, but they fulfill their jobs with boundless enthusiasm. To the Rescue features therapy dogs who visit nursing homes, hospitals, and hospice rooms. Some are patient reading partners for children. Others offer comfort and confidence to at-risk teens, and inspiration to injured veterans returning from Iraq and Afghanistan. Others are search-and-rescue dogs, hunting for human scent in avalanches, or helping investigators at arson sites and disaster sitesincluding the Pentagon after 9/11. These brave animals have repaid the kindness of their rescuers in spades, bringing love, acceptance, hope, and solace to people in need. Once again, they raise the question: just who has rescued whom?